Proteas head coach Ottis Gibson says the recently concluded limited-overs series against Zimbabwe has given him a clearer indication of the players he would like on the journey towards the 2019 ICC Cricket World Cup. 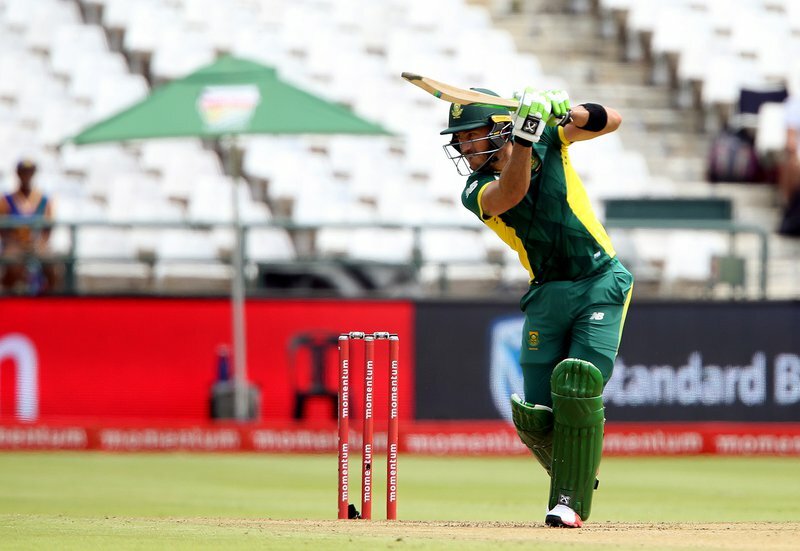 The Proteas completed a clean sweep in both the ODI (3-0) and T20I (2-0) series, which were once again used as platforms for opportunity and exploration. Gibson feels that the series 'answered some nice questions', as CSA prepares to select a squad for the short but important tour of Australia next month. Hashim Amla has not recovered from a finger injury and will not be available for selection for the upcoming tour. "There are a lot of guys we have in our thoughts who will be in the squad to Australia," he explained after the abandoned T20I on Sunday. "Hashim is injured, he is out of the squad already, as a selection group we have already discussed that with him. We want to give him as much time as possible for him to get ready for the next set of cricket that he has coming up. "We want to win," he said of the series. "We want to go there with an attitude of trying to win. The squad that we pick will reflect that and reflect our feeling on the formula and the way we want to play cricket. There is a lot being said about being positive, we played that way in the first few games in Sri Lanka. The key is having the will to stick with it even when things get tough. "For the last 12 months we have been looking at players," he added. "In the next couple of months the window is closing, the players have been told that the window is closing all the time. We are getting closer and closer to the guys that we want on the journey. In the Pakistan and Sri Lanka series we want to be focusing on a core of 17 to 18 players we will be looking at." The comeback performances from the experienced duo of Imran Tahir and Dale Steyn were the standout highlights for the coach, who is beaming with the current load of bowling options at his disposal. From a batting point of view, the absence of Amla opens up another opportunity for the selectors to continue to groom possible top order replacements. "Rabada and Ngidi have done very well," he said. "We have given Tahir time off to allow us to see other players and he has come back and shown us why he is our number one. He has come back and bowled really well, he is mentoring Shamsi which is good for Shamsi, we have high hopes for him. "I know what Rabada and Ngidi can do but for me the real excitement was watching Dale Steyn bowling in the second game in Bloemfontein. It was fantastic to see him back to that level again, bowling quickly with that skill and accuracy. That is the real exciting part for me." The squad for the three-match ODI and one-off T20I tour to Australia will be announced on Thursday.